IEEE stands for the "Institute of Electrical and Electronics Engineers". The association is chartered under this full legal name. IEEE's membership has long been composed of engineers and scientists. Allied professionals who are members include computer scientists, software developers, information technology professionals, physicists, and medical doctors, in addition to IEEE's electrical and electronics engineering core. For this reason the organization no longer goes by the full name, except on legal business documents, and is referred to simply as IEEE. IEEE, pronounced “Eye-triple-E”, stands for the Institute of Electrical and Electronics Engineers. The association is chartered under this name, and it is the full legal name. However, IEEE’s membership has long been composed of engineers, scientists, and allied professionals. These include computer scientists, software developers, information technology professionals, physicists, medical doctors, and many others in addition to our electrical and electronics engineering core. For this reason the organization no longer goes by the full name, except on legal business documents, and is referred to simply as IEEE. IEEE publishes nearly a third of the world’s technical literature in electrical engineering, computer science and electronics. This includes approximately 170 transactions, journals and magazines published annually. In cooperation with John Wiley and Sons, Inc., IEEE also produces technical books, monographs, guides and textbooks. All IEEE content since 1988 plus select content dating back to 1950 is available in digital format. The IEEE Xplore Digital Library contains more than 3.5 million documents from IEEE and IEEE journals, transactions, magazines, letters, conference proceedings and active IEEE standards. Each year, over 100,000 technical professionals attend the more than 1,300 conferences sponsored or co-sponsored by the IEEE. From microelectronics and microwaves to sensors and security, IEEE conferences cover relevant topics that showcase the depth and breadth of members’ technical fields. IEEE members are eligible for reduced participation fees at these conferences. 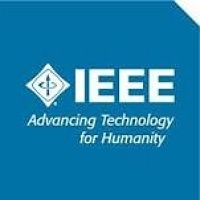 IEEE is a leading developer of international standards that underpin many of today’s telecommunications, information technology, and power generation products and services. Often the central source for standardization in a broad range of emerging technologies, the IEEE Standards Association has a portfolio of more than 1,500 standards and projects under development. This includes the prominent IEEE 802® standards for wireless networking.